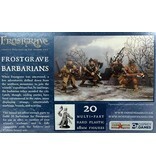 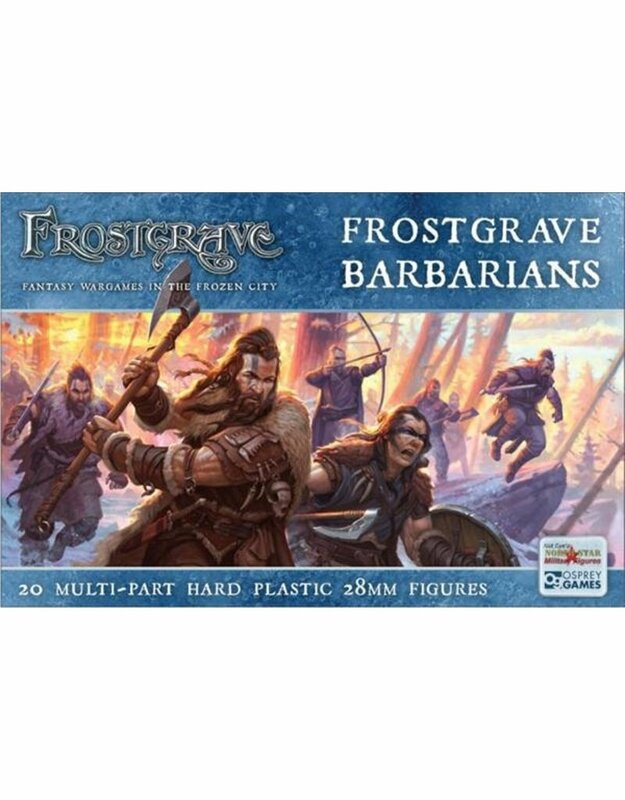 This box set of hard plastic figures gives you four of these sprues which allows you to build 20 different Barbarians to play in the game Frostgrave. 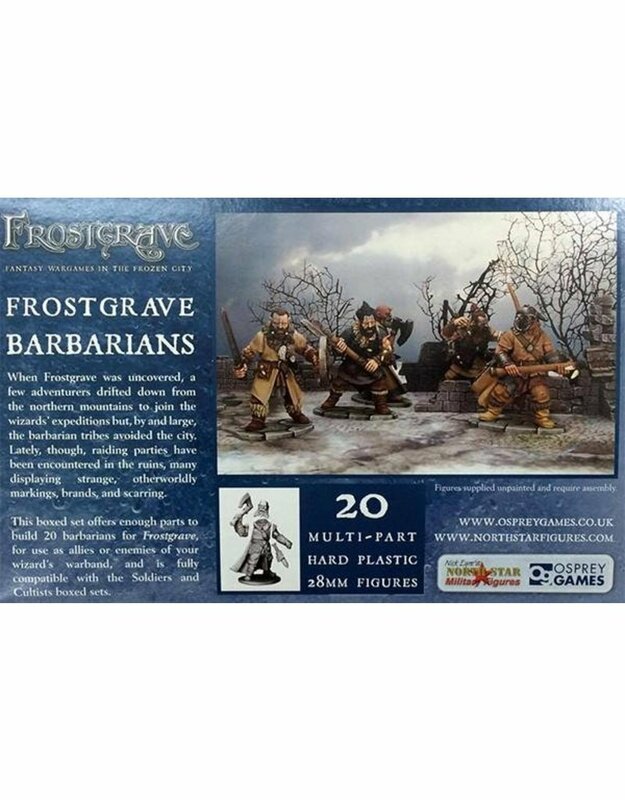 To help you design the perfect Barbarian warband, the box set contains 20 bodies, loads of weapon/ arm variants, 40 heads and all sorts of Barbaric equipment. No two warbands should ever be the same!